The little Wittians of Junior KG at Witty World, Bhilwara celebrated Blue Colour Day on Monday August 06’ 2018. The came in different shades of blue colour dress. 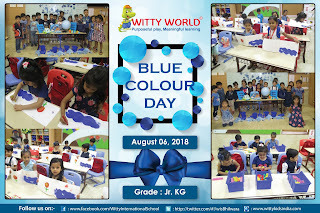 Classroom was decorated with blue coloured objects and balloons. 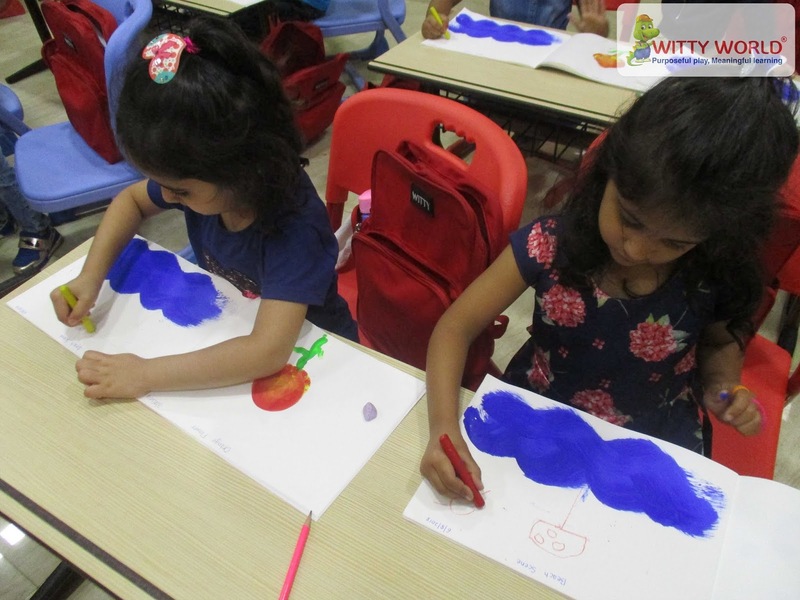 Children had made a beach scene in the artistry. 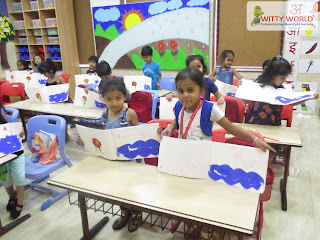 The kids had a great time and they learned a lot through this activity.